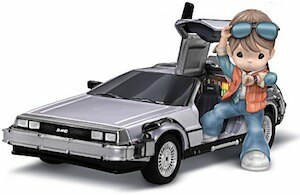 If you want to be ready to travel in time then you need this Back To The Future back. The Back To The Future backpack shows the logo of the movies on the top and below it the famous DeLorean car used to travel in time and as you can only see the back you know it is traveling to the next time and it will be October 26th 1985 as that is the date it shows below the scene. The backpack is 17 x 12 x 6 inches and offers 4 pockets and all that makes it perfect for holding school books, lunchboxes and more. 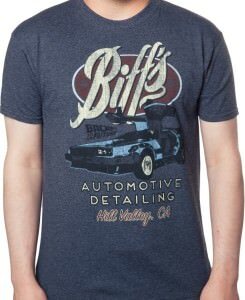 If you are a true fan of time travel movies then you should check out this Back To The Future flux inside t-shirt. 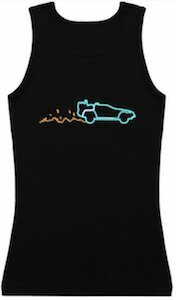 The t-shirt is available in styles for men and women and comes in sizes Small – 5XL and is available in many fun colors. 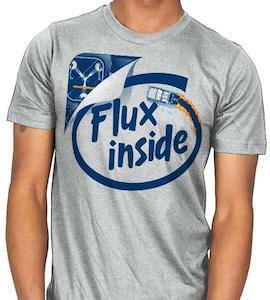 On the t-shirt, you can see a logo that looks like the Intel inside logo only this time says “Flux Inside” and on the line that goes around it you can see the DeLorean from the movie. If you look closer you can see that there is flap printed on it and it shows the Flux capacitor and that should mean that you get your energy from the same source as the Back To The Future time machine the Flux capacitor. 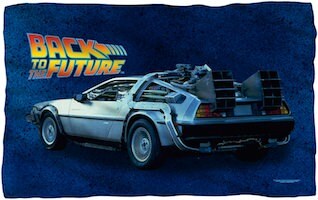 Now you can stop using plastic bags thanks to this Back To The Future tote bag. 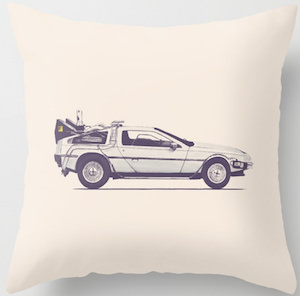 The tote bag shows the famous movie poster with the DeLorean with Marty McFly next to it while he is looking at the time. 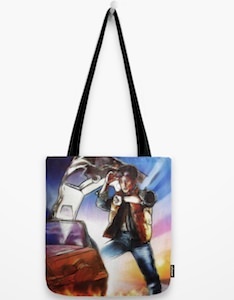 You can get this Back To The Future tote bag in 3 sizes and all have a 1-inch wide cotton webbed strap for comfortable and easy carrying. 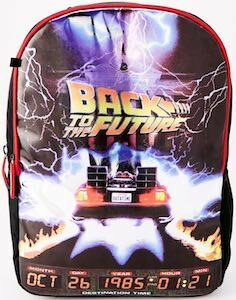 People will notice you when you take this bag for shopping and then they will know that you like Back To The Future. Besides for shopping, this bag is great for carrying other things too like maybe your laptop, gym clothes, school book, and anything else. If you are looking for a costume that is perfect for Halloween, dress up parties or any occasion have a look at this Back To The Future jacket. This jacket is a replica of the one Marty McFly wears in the awesome movie Back To The Future 2. With an amazing amount of attention to detail this jacket features a waffle mesh red torso, faux leather seems and two front pockets. Also the sleeves are the unique accordion style and the lower waist band has the light up box that also says two different movie quotes. Made to be very high quality giving it an authentic look and feel. 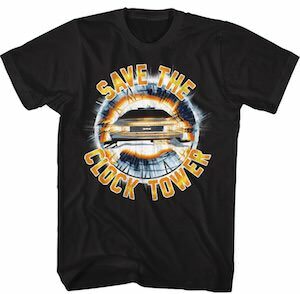 Available in a wide selection of sizes that will range from Small to 2XL so all can become Marty McFly for Halloween.